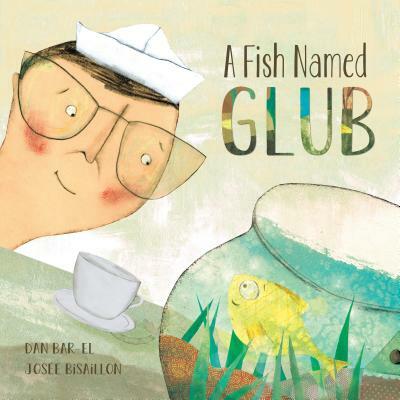 In this truly original picture book, a fish named Glub ponders the big questions ("Who am I?" "What do I need?" "Where do I belong?") as he looks out from his fishbowl at the end of the counter at Foster G. Willikers's diner. For every one of his questions, Glub instantly receives an answer via the variety of conversations he overhears, as the colorful people who frequent the diner go about the business of their lives. At the same time, all these people, including Foster, are finding some answers of their own as they look back at Glub swimming around in his bowl. Rich yet accessible collage-style illustrations by Josee Bisaillon warmly invite readers into Glub's world on each of the spreads of this unique book, while the text alternates between the poetry-inspired thoughts of Glub and the lively dialogue of the humans. What award-winning children's author and storyteller Dan Bar-el manages to do in this moving and optimistic book is to present two different layers within one story. There is the delightful, simple narrative about what happens to Glub and the people in the diner -- a fun, humorous read-aloud, perfect for storytime. But there is also a more reflective and poignant tale here of love, self-discovery and hope, which provide an opportunity for deeper reading, understanding and critical thinking, and which would make an excellent resource for a character education lesson on dealing with feelings.